"As you will no doubt be aware today (21st of October) is the 'launch day' of Microsoft's new Windows Phone 7 in the UK and Europe. 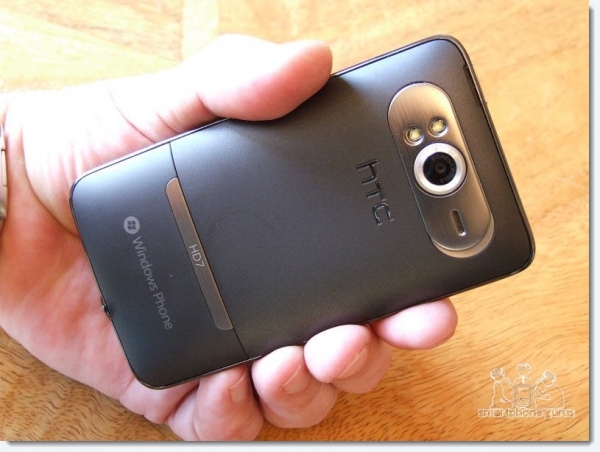 Our good friends at O2 have kindly loaned us their variant of the HTC HD7 for review. As we only received the machine just in time for the launch date we'll be putting the device through its paces on a daily basis and commenting as to how each aspect of the device works in the real world! So onwards." The reviews are coming in fast and furious. Here we have Smartphone Gurus review of the UK version of the HD7, sold via O2. The review is ongoing and you can put in your own queries if you have a mind. Battery life seems to be a problem, but whether this is a problem with the OS, the HTC design or this specific unit, we'll have to wait and see - other reviews (so far) don't report the kind of battery drain the reviewer is seeing. If it has an OLED display I would blame that. Power usage difference between that and LCD seems to be huge. It doesn't seem to matter if it's the standard AMOLED or Super AMOLED. They both seem to use a lot more juice then LCD. If it has an OLED display I would blame that. It doesn't - it uses a standard LCD. But it's a BIG LCD. I don't know if the reviewer has used an HD2 or not, but when you've got a phone with a screen that big, and a CPU that powerful, you're going to be recharging it every 1-1.5 days. It's just the way things are.